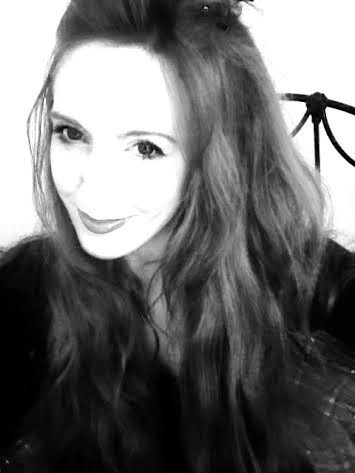 News, reviews and interviews from the world of female fiction. Choc Lit's Mother's Day round-robin love story - Part Five! We're pleased to be taking part in Choc Lit's Mother's Day love story! 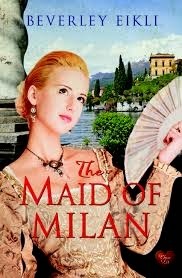 Part five is written by Beverley Eikli, author of The Maid of Milan. Enjoy! 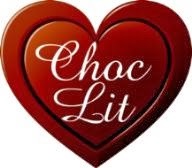 Seven Choc Lit authors have contributed to give you one exciting story. Each author has to continue the tale left by the previous author. They have no idea where the story will take them! Not an easy task but makes good reading for us all. Damien returned his attention to the river view even before the door had even shut behind the two women. He’d thought he’d be immune to whatever emotional ploy Kelly chose to soften his righteous anger towards her. He hadn’t expected dignity, as if she were the wronged party. Nor had he expected his own traitorous responses to be so strong. A discreet cough dragged his attention back to the present and he swung round to see Ade standing in the centre of the room. The tone, as much as the words, sounded a warning. ‘What generous offer?’ Damien narrowed his eyes at the man who’d been more of a father figure to him than his own. As youths George Grande and Ade had worked together in the building trade but when an eye to the main chance and ruthless ambition had propelled George Grande to his current illustrious heights, he’d made Ade his right-hand man. Ade offered Damien a look of sympathetic understanding and rubbed his chin as if weighing up whether to say more. ‘What generous offer, Ade?’ Damien repeated, his voice crisp and sharp-edged like his growing fury. A distant roaring had already begun to fill his head. So his father had been doing his usual interfering in the wings? Worse, though, was that Damien hadn’t even suspected. Ade reached for the only framed photograph on Damien’s desk. Taken the night George Grande had received his OBE for services to architecture, he stood flanked by his son and Damien’s glamorous ex fiancée, Celia. Damien shook his head. Already the pieces were coming together. The heated argument following the celebrations that night had been the catalyst for Damien doing what he’d wanted to do for some time: call off his on-off relationship with Celia. The office party the following night had been like a glorious dive into crystal clear waters. Unshackled at last, Damien had felt gravitated naturally to the doe-eyed, coolly efficient Kelly Taylor, the firm’s newest recruit to whom he’d become increasingly attracted over the months. One thing had led to another, and when Damien had woken up in bed next to Kelly, he’d felt this was where he wanted to wake up every morning for the rest of his life. Clearly, though, Kelly thought differently, for when Damien had woken properly at noon, Kelly was gone, and when he tried to phone her, he’d learned she’d gone to Prague on assignment and was unreachable. Nor did she make any attempt to answer his calls or messages until Damien’s own business schedule took him to the US where, by design or coincidence, Celia had reappeared with a concerted, but ultimately futile, effort to reinvigorate their stalled romance. The next real conversation Damien had with Kelly was when she’d announced she was four months pregnant – with his child. Resolve was like a steel rod driving into Damien’s backbone. By God, his father was going to regret meddling in his son’s life. Eighteen years later, after exploring the world in the back of Cessna 404s and CASA 212s as an airborne geophysical survey operator during low-level sorties over the French Guyanese jungle and Greenland’s ice cap, Beverley is back in Australia living a more conventional life with her husband and two daughters in a pretty country town an hour north of Melbourne. Follow the rest of the story daily! Lord Tristan Leeson is a model of diplomacy and self-control, even curbing the fiery impulses of his youth to preserve the calm relations deemed essential by his mother-in-law to preserve his wife's health. A visit from his boyhood friend, feted poet Lord James Dewhurst, author of the sensational Maid of Milan, persuades Tristan that leaving the countryside behind for a London season will be in everyone's interests. But as Tristan's political career rises and Adelaide revels in society's adulation, the secrets of the past are uncovered. And there's a high price to pay for a life of deception. The first 4 parts were such a hard act to follow. I'd agreed to write Part 5, not knowing I'd be doing it while rushing from Australia to Norway for a funeral, so it was quite a challenge. Unexpected plot twists are what I love to do! However, I felt really responsible because of course those who'd have written earlier instalments may have wanted it to go in a different direction. Wonderful Beverley! What a great spin, the story just keeps getting better and better. Well done! I am SO enjoying this also. I absolutely can't wait to read tomorrow's instalment!